When dental disease, decay, or injuries strike, patients can be left feeling too embarrassed to seek out the professional care they need. 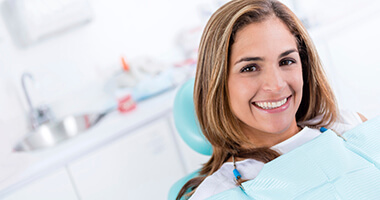 At Island Daily Dental Care, we reassure you that our doctors and staff members are always kind, supportive, and ready to help you regain the strong, beautiful smile you deserve through quality restorative attention. Whether you’re facing a minor cavity, extensive tooth loss, or a situation that falls somewhere in between, our office has something to offer everyone in need. Better yet, our Medford, NY location has appointment availability seven days a week! Contact us today to schedule a visit, or if you have any questions about your smile health. 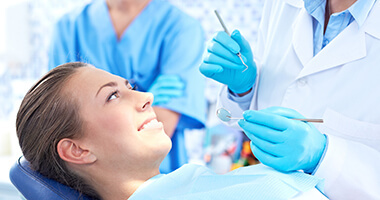 If you have teeth that are worn-down, badly damaged, or decayed to the point that a filling isn’t sufficient treatment, a custom-made dental crown can beautifully restore your health and self-confidence. These individual restorations are designed to completely cover the crown of the natural tooth, providing vital, long-term support. Our Medford doctors primarily offer tooth-colored, all-ceramic materials for a seamless end result. If you’ve lost one or more consecutive teeth, bridges are a solution that can restore your smile’s full structure and prevent other teeth from shifting over time. Unlike dentures, bridges are anchored securely in place with the help of dental , which fit over adjacent natural teeth. This method creates a strong, permanent improvement. 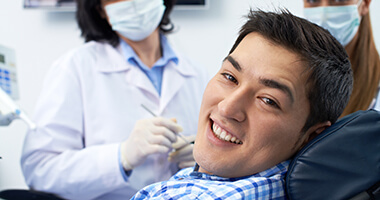 Treating tooth decay as early as possible is always our goal, but we understand that many patients feel frustrated when their natural smile features dark, noticeable fillings. That’s why we’ve chosen to offer a tooth-colored, aesthetically pleasing alternative that provides the same great results for your oral health! Tooth-colored fillings are crafted from composite resin, a strong and flexible material that can be blended and shaded to provide a precise match to your enamel. In addition to cosmetic value, composite resin forms a direct bond with the tooth surface, strengthening the remaining shape and deterring future breaks. Your new fillings can last for 10 years or even longer with regular checkups and personal oral hygiene practices! At Island Daily Dental Care, we have the experience and know-how to rebuild even highly damaged and incomplete smiles. If you’re suffering from extensive tooth loss, talk to our doctors about the possibility of having a new full or partial denture created. These prosthetics are modern, customized, and very comfortable. Better yet, they can be either removable (allowing for easy cleaning and storage) or affixed to dental implants for greater permanence and stability. When many patients hear the words “root canal therapy,” they feel like running for the hills – but this procedure isn’t anywhere near as scary as its unfair reputation! In fact, it can be a saving grace for cases of advanced dental infection that would otherwise result in a natural tooth requiring extraction. 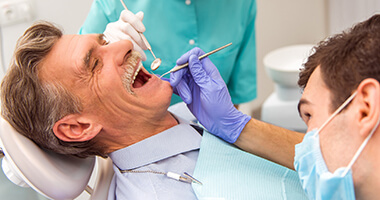 These infections are typically highly painful, and people incorrectly associate that discomfort with root canal therapy itself, which will actually solve the problem and provide fast, effective relief. During root canal therapy, one of our doctors will carefully access the inner, vulnerable pulp of the tooth and remove bacteria from the area. After providing a thorough cleansing and sealing the dental structure shut once more, a custom-made dental crown placed on top will help rebuild the treated tooth’s original shape and level of function. 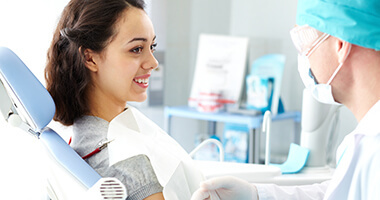 What’s more, root canal therapy is more comfortable than ever with the help of today’s modern anesthetic and sedation techniques. Root canals enjoy a success rate of over 95%.